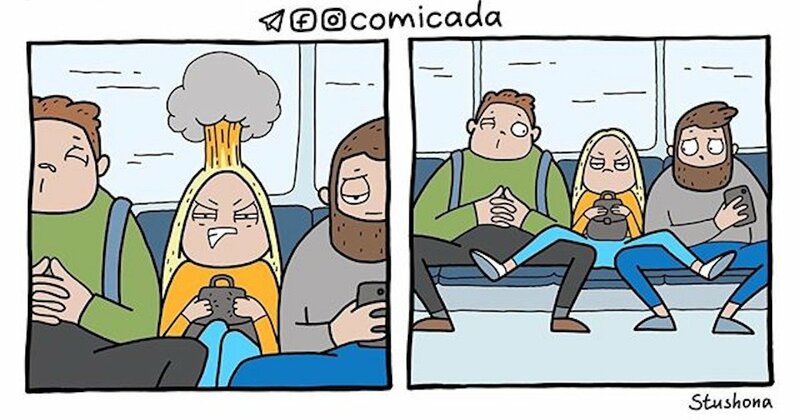 This Russian artists draws relatable comic strips about coffee, cats and manspreading. Anastasia Ivanova, or @comicada, is a Chelyabinsk-based illustrator and graphic designer who makes poignant comic strips commenting on pop culture phenomena: from the difficulty of online shopping, inexplicable fashion, bitcoin, cats and a possible global hairdresser conspiracy. Most of her comic strips are universally relatable for young people regardless of where they come from, and all come with captions in English.